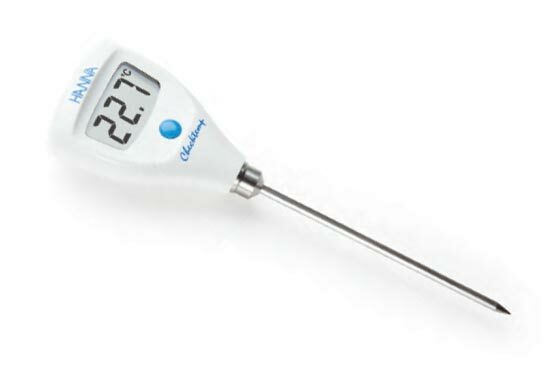 The Checktemp®1 is a high-accuracy thermometer with a 1 m (3.3’) flexible, silicone cable connecting the meter and the AISI 316 stainless steel probe. 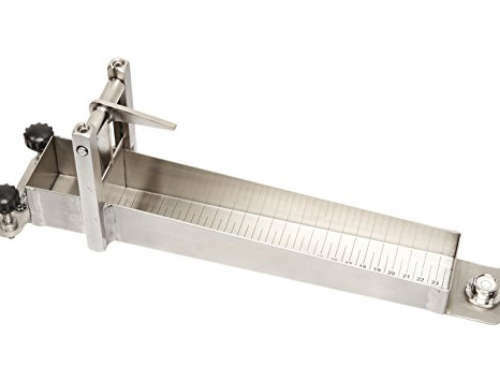 This probe is in compliance with food regulations, making it an ideal instrument for measuring temperature according to HACCP requirements. The sharp-tip penetration probe easily lances semi-solid products such as fruits, vegetables, and cheeses. 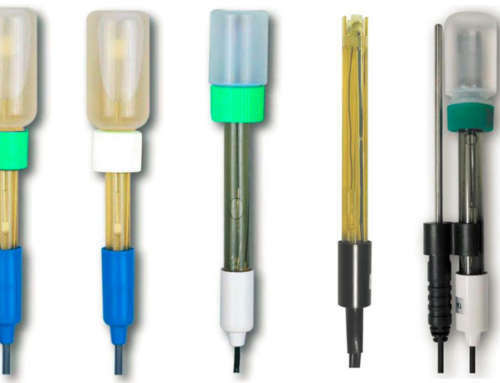 This probe can also handle measurements in liquid, air and frozen materials. The probe incorporates an NTC thermistor sensor to measure the temperature. 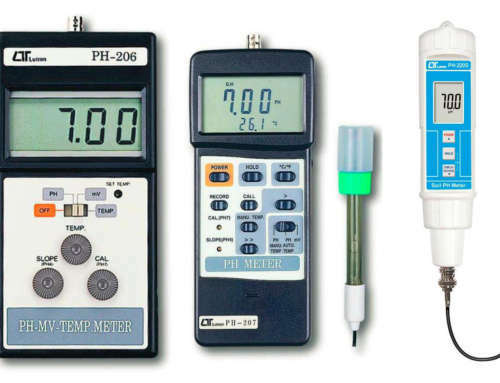 Thermistors make it possible to obtain extremely high accuracy in a very short period of time. 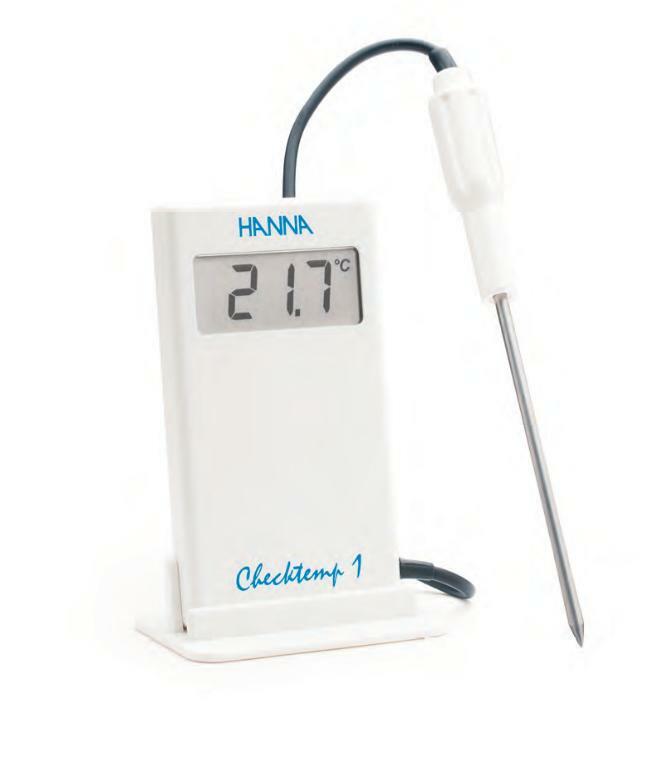 The Hanna CAL Check™ feature has been incorporated into the Checktemp®1 for reliable and accurate measurements. CAL Check™ automatically runs a self-check diagnostic upon startup and reports status back to the user. Large display – The large display features a wide temperature range and optimal viewing angle. The Checktemp® delivers high accuracy temperature measurements over a wide range without concern for breakage or condensation. 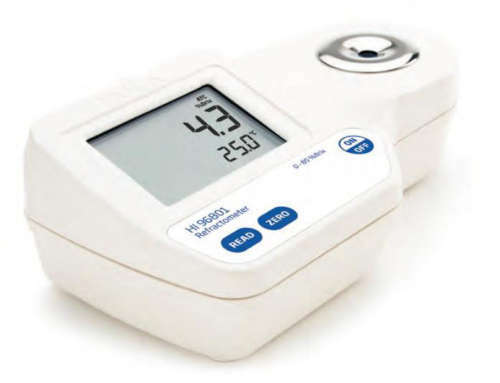 The Checktemp® offers no breakage, no waste, no injuries and no difficulty in reading; the digital display prevents a parallax error (observing the wrong measurement due to the angle of view) and is optimized for a wide range of environmental temperatures. 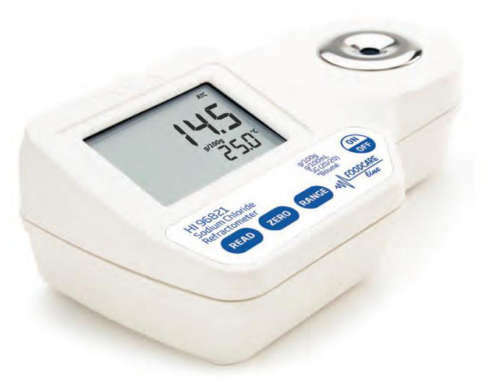 Checktemp® is provided with Hanna’s unique CAL Check™ function for accurate measurements every time. The Checktemp® implements a CAL Check™ upon startup and reports the status as “-0-” or “Err”. 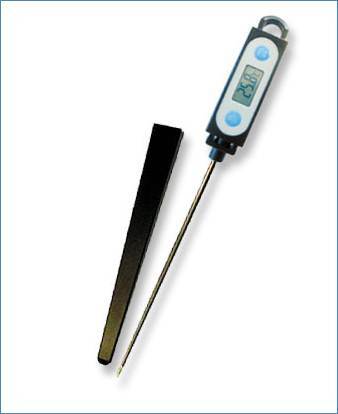 The sharp-tip probe of the Checktemp® easily penetrates semi-solid products making routine temperature checks simple and quick for both incoming and outgoing goods. 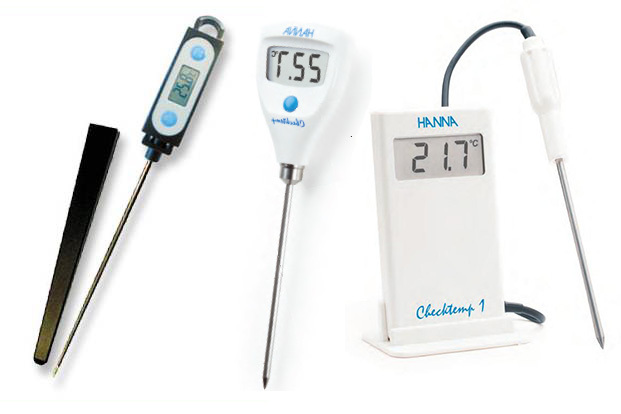 Checktemp® is the ideal instrument for measuring temperature according to HACCP requirements.